Inlife Tribulus Terrestris Extract or Gokshura Capsule is an energy-enhancing supplement that helps in achieving goals in bodybuilding and muscle development. Tribulus have been used to improve athletic performance, as it is a natural testosterone booster. It is an amazing herb with wonderful medicinal uses and health benefits which include Heart and circulatory conditions and sexual health. This product is also used for stimulating appetite and as an astringent, tonic, and mood enhancer. The roots or seed pods of this plant have been used for ages to improve vigor and strength. Tribulus Terrestris helps during the workout as it promotes stamina and strength. 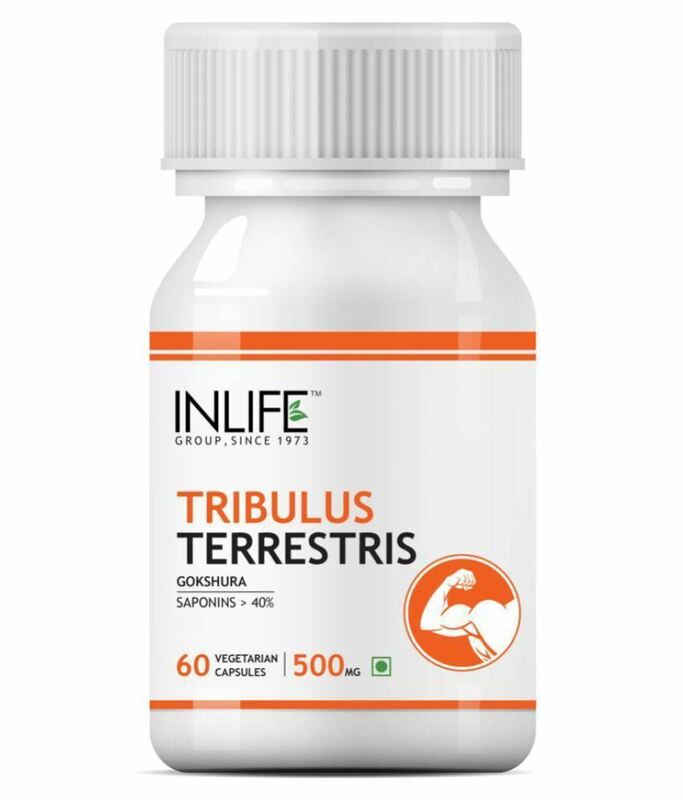 Intake of Inlife Tribulus Terrestris extract capsules in the form of supplements can contribute to lean muscle mass in athletes and bodybuilders. As a dietary supplement, take 2 capsules daily before meals or as directed by a healthcare professional.